I can’t help it, I love these darn books. To be honest, I didn’t really want to – let’s just say I can be pretty snooty about books that do really well in the eyes of the general public. I tend to over criticize them and decide to dislike them just because I wouldn’t be original if I did like them. 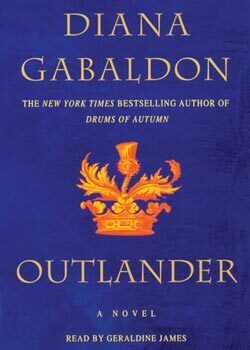 Still, despite my efforts, the Outlander books have me hooked. In my opinion, what’s not to like? Suspense, history, romance, adventure, this book is exactly what it’s cracked up to be. Somehow even with the dense, incredible amount of words this book has I was with it all the way. 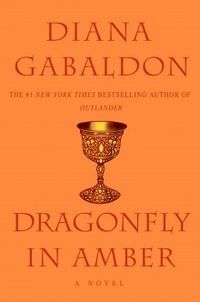 I adore Gabaldon’s descriptions – she’s managed to create a word with such meaningful detail. She doesn’t just tell us about the dew reflecting the cool, low sun on the horizon in the Highlands just because she wants to create a setting, she does it because it’s part of the story. I’ve never felt like the descriptions of place and people to feel quite so natural as with Gabaldon’s writing. Now, I can’t speak too much to reading the dialect in the dialogue, something which apparently some people have a challenge with, based on reviews I had read. I have enjoyed both of these books on audio book – and, though I am sure the real book is nice to – I highly recommend you listen to the story. The narrator is incredible. She has so many beautiful accents and excellent rhythm. I truly believe Jamie and Claire, the two main characters, have come alive not only because of Gabaldon’s writing, but because of Davina Porter’s excellent performance. Even the smallest character has their own feel and cadence. As much as I love to read, it’s not often I feel a deep connection with a character and am truly sad to see him/her go. I won’t say anything more about the story because there are many twists and I don’t want to give any spoilers. Okay, I won’t say any more. Chat with me if you want to gush – feel free to comment below. And If I said it once I’ll say it again -give this audiobook a try. It’s glorious. PS – I started Voyager immediately after I finished this. Onward!